When it comes to creating a website for your church there are no shortage of options. You could hire a designer or an agency to create a custom design, or go with any number of companies that offer some sort of template-based approach. Getting a custom design can often offer the most flexibility, but the cost is often out of reach for many churches. The template-based approaches will vary in quality, but in many cases you will have to host the website with the company, which means the monthly or yearly costs can add up. An alternative option that works out well for many churches is to use the popular open source, and free, WordPress content management system. With WordPress you can host your site with the web host of your choice, which allows you to keep monthly or yearly costs very low. With WordPress the site can be maintained by staff members or volunteers since their is no technical knowledge required to be able to edit content or create new pages. 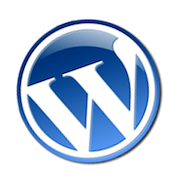 One of the major benefits of using WordPress is the selection of themes/templates. There are free themes available, or you can get a high-quality premium theme for less than $100. 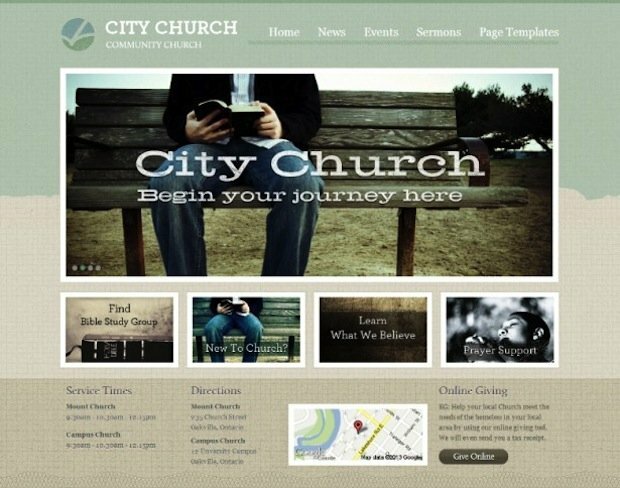 Why not try looking at top-notch WordPress themes for church websites? Here we’ll take a look at 10 WordPress themes that provide excellent options for churches. This list includes a few free themes, some premium themes, and a few others that offer free and paid versions. If you don’t find what you are looking for in this list, you can find an even bigger selection in the church themes category at ThemeForest. Zion is a free WordPress theme designed especially for churches. 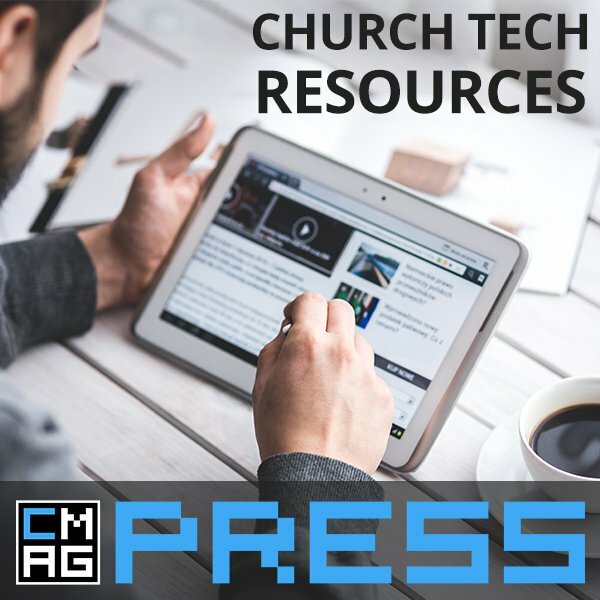 It comes with a number of features that are needed by most church websites, including a customizable slider on the homepage, an event calendar, and support for adding sermon audio files and videos. Zion uses a responsive layout, so it will provide an optimized experience for visitors using tablets and smartphones. Add your churches address and the theme will integrate with Google Maps to provide a map and directions to website visitors who may be interested in visiting your church for the first time. You’ll be able to choose from 4 different color schemes. 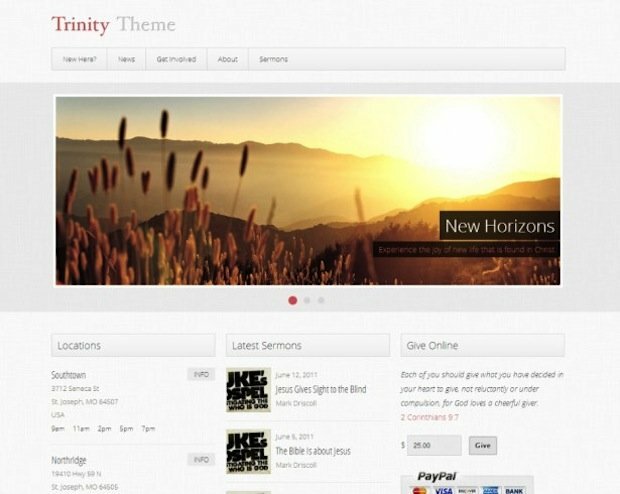 The Versatile Church Theme is another free option for churches working with very limited budgets. It also includes necessary features like a customizable slider, event calendar, support for sermon audio files and video. 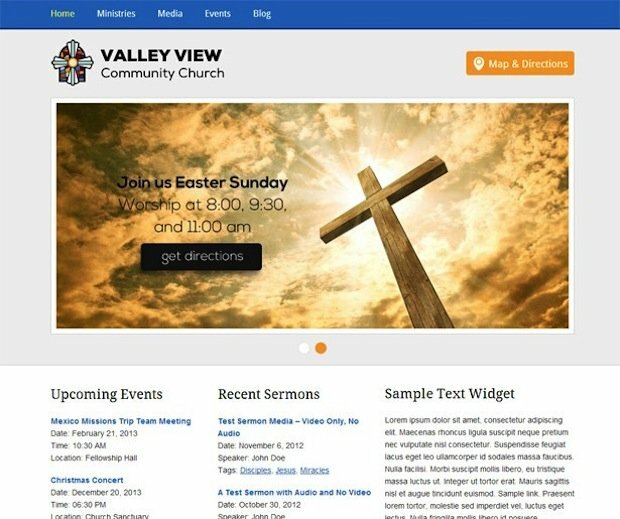 This theme also uses an responsive layout and uses the same Google Maps integration to help people find your church. This theme is called “versatile” because it allows for complete color customization. Without touching any code you can control the color of almost every element in the theme, making it easy to create a site that will match your churches existing branding or identity. 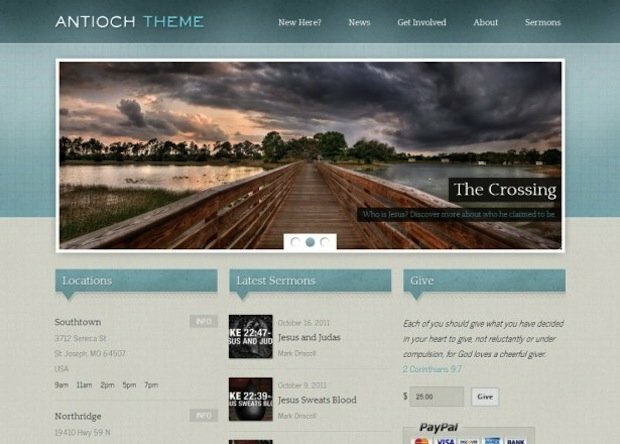 Antioch is a well-designed theme for churches that comes with a few different choices. You can download a free version of the theme, or you can purchase the Standard or Developer edition for $29 or $49. These editions include features like automatic updates, an online giving widget, and sermon media manager. The Developer edition also comes with Photoshop files. The free edition is a nice option to have, but most churches will probably want to purchase at least the Standard edition for the features that are needed by most church sites and are well worth the price. Trinty is another theme from the same developers of the Antioch theme. It uses the same approach of offering a limited free version, with Standard and Developer editions available for $29 or $49. 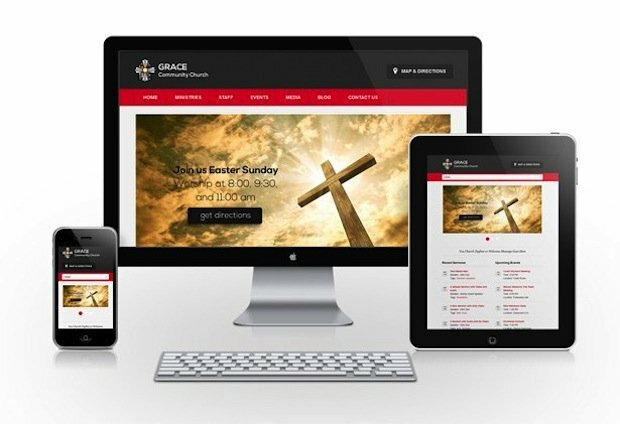 Trinity uses a clean and minimalist layout and design that can serve as a great starting point for a church site. The features of Trinity are the same as with Antioch. Automatic updates, an online giving widget, and sermon media manager are available on the paid editions. Micah is a stylish and feature-rich theme that costs $79. Micah includes built-in podcasting setup for publishing sermon audio files on your website. You can also easily publish news, events, and photos to the site. Micah comes with the option to include an online donation widget to accept online giving. 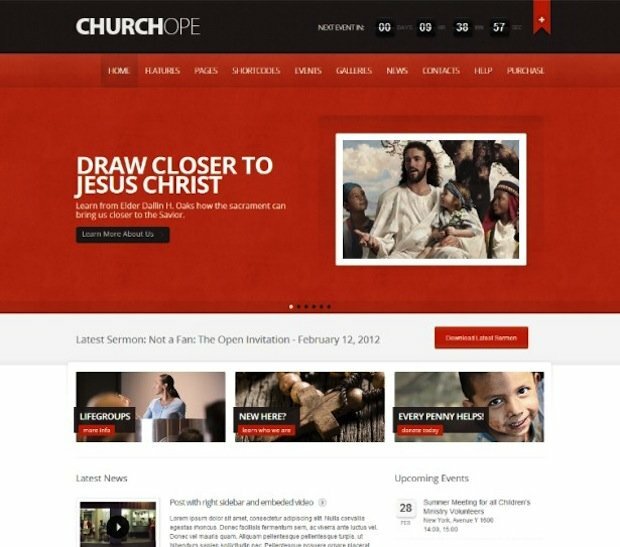 ChurcHope is one of the best-selling church themes, and with good reason. The theme costs $45, uses a beautiful design, and it includes plenty of features. The layout is responsive, so visitors will have a good experience on any device. You’ll be able to change the colors of almost every element in the design, and you can choose from 400+ fonts. Additional features include unlimited sidebars, unlimited galleries, unlimited slideshows, homepage layout customization, and much more. 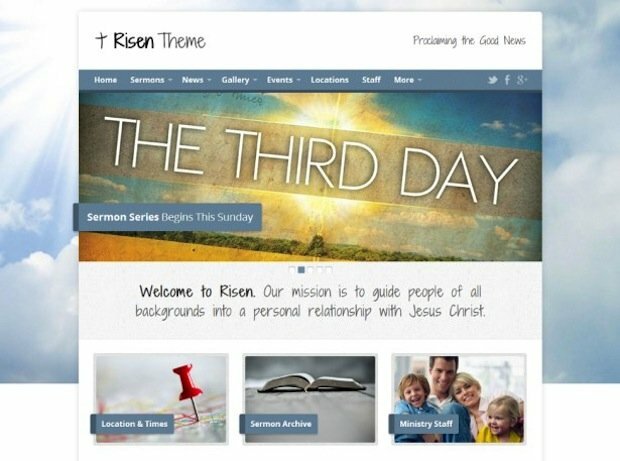 Risen is another popular church theme with a responsive layout, costing $45. Where Risen really shines is in the customization options. You can control colors, fonts, and backgrounds, allowing you to create a really unique look for your church site. It also includes functionality for things like event calendars, sermon media files, staff profiles and church news. Ezekiel comes from MintThemes, the makers of Micah. Like Micah, Ezekial carries a price tag of $79. It includes many of the same features, but it uses a darker textured design that can give your church website a great look that will impress visitors. 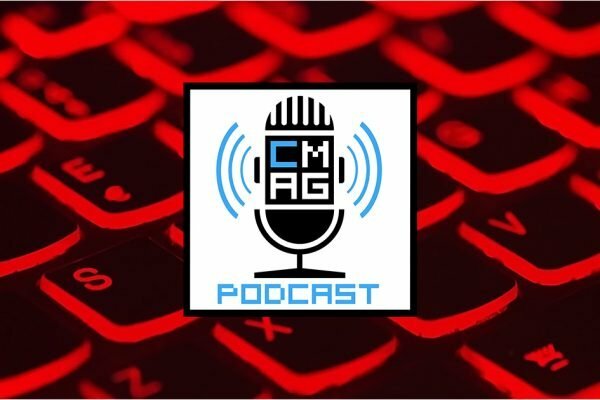 You’ll be able to take advantage of a homepage slider for promoting events and ministires, integrate with Facebook and Twitter, and share sermon audio files. Visitors will be able to listen to sermon audios directly on your site, or they can download the file to use on their own devices. Belief is a feature-rich theme that costs $45. 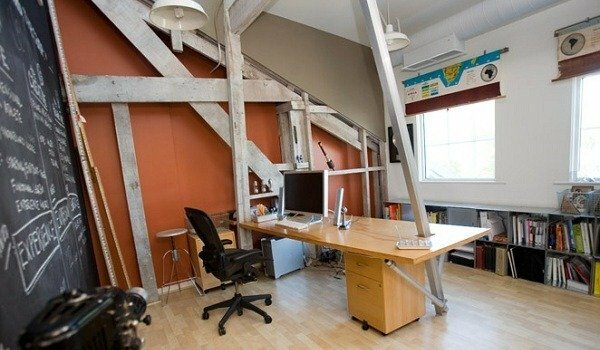 It uses a responsive layout and an impressive full screen background slider. Belief includes functionality that allows you to create custom templates with a drag-and-drop builder, no need to touch the code. You can create an unlimited number of these custom templates, and you can even create custom layouts for individual pages and posts. 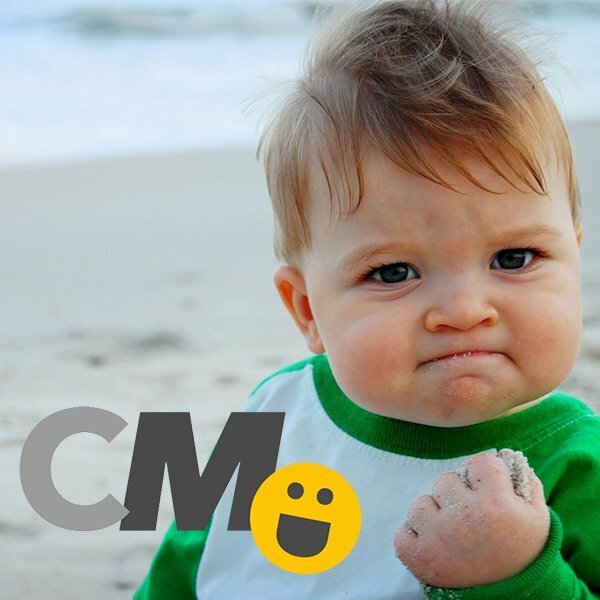 The theme also includes a unique built-in “like” system to allow visitors to show appreciation for pages or blog posts. 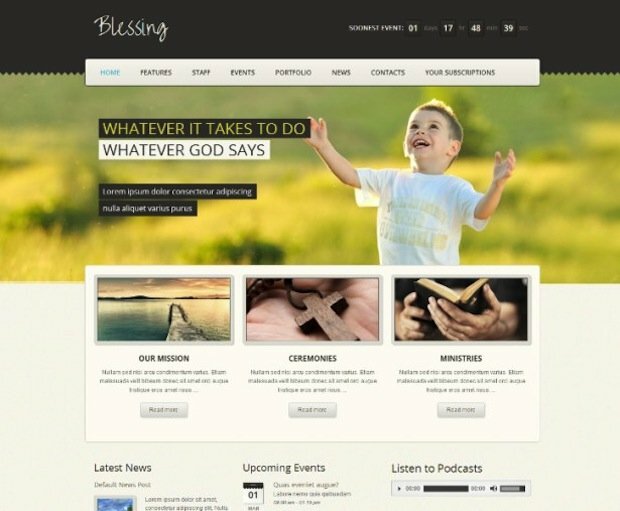 Blessing is a responsive theme that costs $45. With it you’ll get unlimited color variations, custom widgets, custom shortcodes, and a variety of other features. It includes an event calendar for promoting and upcoming events and managing event listings. It also includes a helpful newsletter manager that will let you stay in touch with church members and attenders. 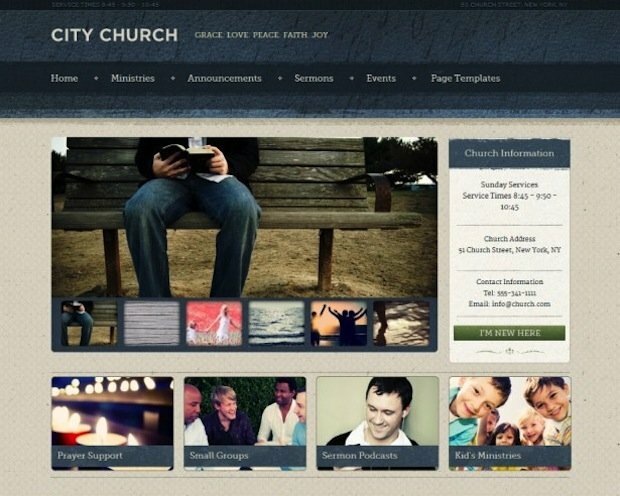 Check out 4 more awesome WordPress themes for church! Thank you for sharing Risen with your readers. We’re working on more themes for chuches and will be releasing them at http://churchthemes.com. fantastic piece i appreciate your effort putting this on the web for people like us who are researching to help our churches have a great website. Fantastic list, some really gorgeous themes there! If you ever plan on updating this list please consider our new WordPress Theme “Grace”. It’s a fully responsive theme designed with churches and religious communities in mind and features plenty of options (sermons, photo galleries, events, donations to name a few) including a couple of commercial plugins as well. 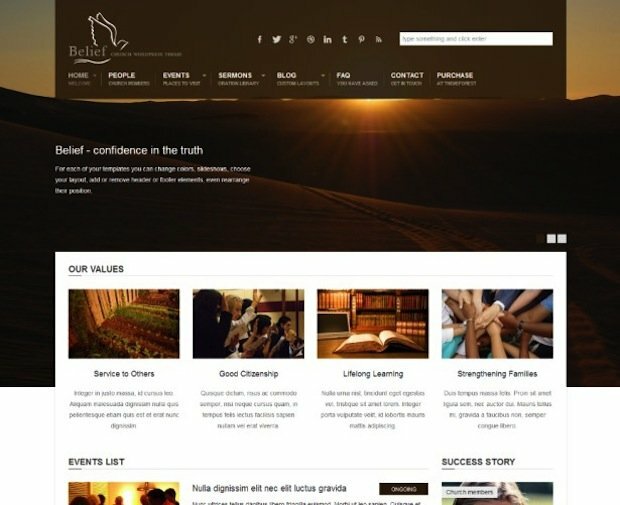 We just launched churchthemes.com with our first theme, Resurrect: http://churchthemes.com/themes/resurrect/. We built this based on what we learned from Risen (thanks for mentioning it) over the last year, which is the highest rated of 25 church themes on ThemeForest. I’d love to see Resurrect added to this list too. Or do you have plans for another church theme post or will you update this one? 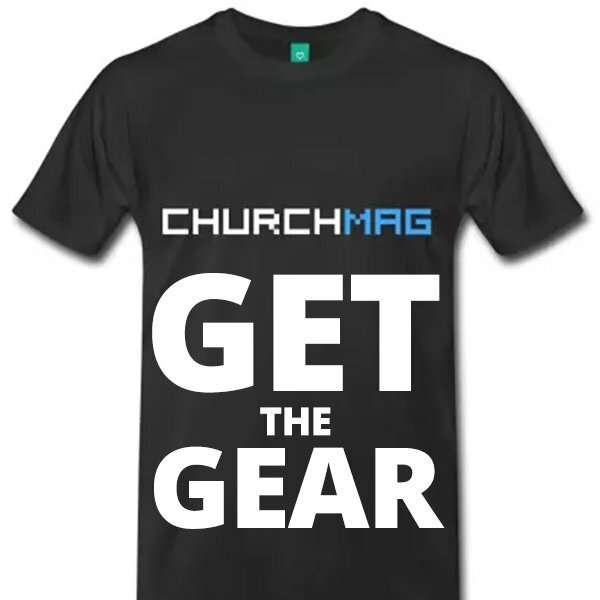 There are probably close to 50 church themes on the market now. 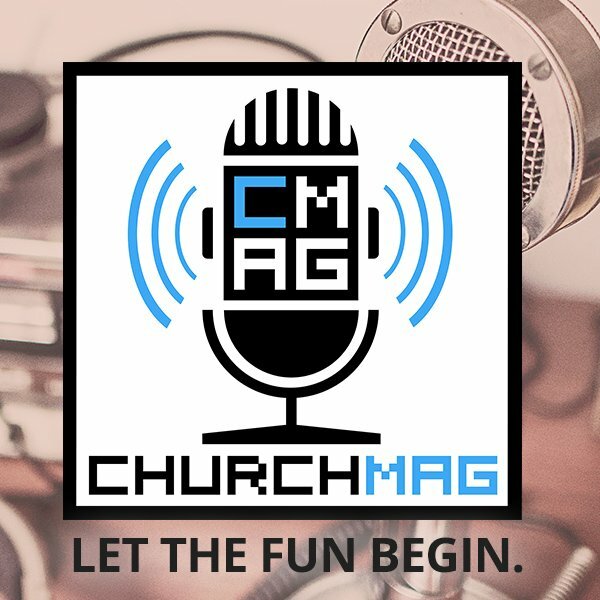 I’ve seen about 15 mentioned on ChurchMag in the last year which is great, but there are many other great options worth sharing. I’m looking for a church themes and actually found out your Resurrect themes first landing on this blog. I’m impressed with the response and it’s functions, but looking more themes to compare, and I found out here that it’s on the competitive price. If you’re looking for a church specific theme, I would go with a Resurrect type theme. If you need some theme choices for other projects, consider Elegant, too. I’ve found that the worst thing you can do when it comes to WordPress themes is to go too cheap. I’ve always found it worth the extra money, IMHO. Hey Joel, I’m glad you found us on ChurchMag and happy to hear you like Resurrect’s features and price. Please contact us via our site if you have any other questions before buying. Eric’s advice is handy. If you’re only building one site for a specific purpose, go for a niche theme. Elegant Themes is useful if there is a theme there that meets your need or if you build many sites and want a real bargain. I’m not sure if they have anything specific for churches. Our eBook Hits Over 1,000 Downloads! 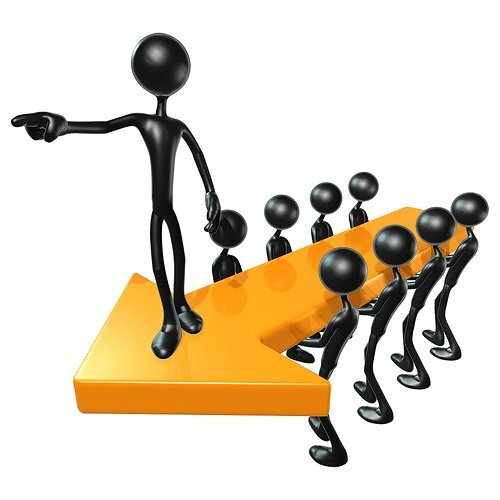 Do We Need Church Leaders Anymore?